Over His Career, David J. Schwaner Has Collected $10 Million+ For Clients. Our Services Are Completely Free Until You Recover Your Compensation. David is very thorough and dedicated. He takes the time to sit down with you personally to make sure he has everything needed to fight for you. He is not like most law firms looking for just a signature on a contract. He is personal and he makes sure that you get the best care. He helps to explain things to you so you constantly know where you stand in your case. I would recommend him as one of the best lawyers in Chicago. If you use David and his partner as your lawyers, you know you are in the best caring hands around. Thank you David for all you have done for me! My child was injured in a car accident in January 2018. What looked like a straight forward case became very messy very quickly and I knew we needed professional help. My child needed surgery for their injuries and the insurance company for the responsible driver tried to deny full liability. Then David Schwaner was recommended to me. He came out of the City to meet us, talked us through what to expect and next steps. I felt very comfortable putting everything in David’s hands and it was the best decision I could make. One year later, with David doing all the work and taking all the stress off us, he got a settlement that exceeded expectations. David is professional, knowledgeable, ethical and is very good at what he does. He went above and beyond to make us feel comfortable and kept us informed. I have NO hesitation in recommending him. Knowledgeable and Trustable Attorney!! Excellent service! He was very professional from start to end. I would definitely put my trust in this firm again. Highly recommend Mr. Schwaner to anyone. My Go To for Everything Law Related Mr. Schwaner kindly took the time out and met with my business partner and me about our court matter before the hearing prior to a holiday weekend. He gave us wise and much needed guidance on a situation that we felt completely helpless with. His presence and advise left us feeling assured and the case outcome was a lot better than we expected. Thank You David. Your expertise and kind service will always be appreciated. Dave Schwaner is very professional and l highly recommend him for his services. He handled 3 of my cases and each was concluded with satisfaction. 10/10! If you want a lawyer with compassion, a conscience, and a strong base of knowledge and experience, David’s your guy. I found myself seriously injured while traveling alone. He treated me with respect, patience, and genuine honesty even when I couldn’t really advocate for myself or think straight due to medications (this is where his patience came in). While it turned out that there wasn’t much any attorney could have done for me, he certainly exhausted every option, and I have no doubt he would have fought well for me had a trial occurred. The only drawback to having hired Mr. Schwaner is that I can no longer tell all those awful lawyer jokes. He ruined them all for me. But that’s a price I’m happy to have paid. I was recommended to Schwaner by another yelper. I Visited this office recently, located in the garner building. They are time efficient people here, things are organized and done when they give you their word to be. After my meeting I must say that the staff is very helpful and David is extremely supportive of his clients. He was ready to answer all questions and commit to necessary steps to help solve the situation immediately. He is one of the best out here! Working with David was a pleasure. From the first time I spoke to him I felt at ease with him as he seemed more concerned with my well-being before all. He was always keeping me updated on everything every step through the process and was always available for me if I had a question. David delivered more than expected for me in every way and I would recommend him to anyone. A real class act with your best interest at heart! Best in Chicago; Dave is connected in the area to several doctors/practices and will assist in making sure everything goes as smooth and professional as possible. Great experience and will keep recommending to those in need of a personal injury lawyer! I would highly recommend Attorney David Schwaner and Schwaner Injury Law, to anyone. Not only is David knowledgeable and a gifted attorney, he’s a very sympathetic individual who takes the time to get to know you and your situation. He makes sure to answer all your questions, return all your calls, and always has your best interest at heart. Really top notch attorney, and law firm. I couldn’t have asked for a better injury lawyer. David Schwaner was wonderful to work with. He’s straightforward and gets the job done, all the while being most compassionate. I wish I could choose 6s. I’d recommend Schwaner Injury Law above all. I am truely grateful to David who dealt with the insurance companies on our behalf. We had our own injury to handle and luckily we were able to come in contact with David. He gave us assurance that he would take care of everything. He was very adamant on keeping us informed of the status of the case throughout the process. I hope that I never have to deal with a situation like this again in the future, but if I do I know I can trust David to relieve our worries and be there for us. 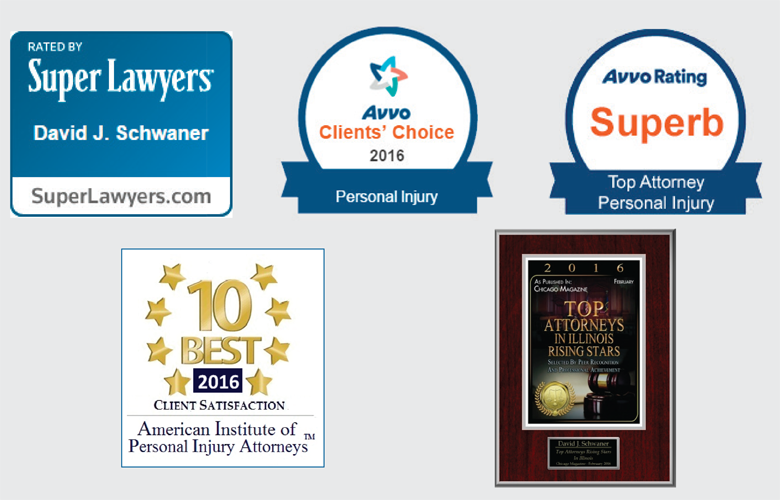 For over 10 years, David J. Schwaner has helped over 96% of clients just like you recover compensation in personal injury, auto accidents, negligence, wrongful death, workers’ compensation, medical malpractice cases and more. From the minute you claim a free consultation with our office, to the day your matter is resolved, our team is committed to providing you with the attention, focus, and drive needed to win. Are you wondering how much your case is worth? We’ll take the time to review your case details and let you know your case value. Discover how much your case is worth. Get your free consultation today. If you or someone you know has suffered a traumatic brain injury, you can trust the experienced legal team at Schwaner Injury law to recover fair compensation. Brain injuries are not a single, isolated event. From the closed impact of an automobile accident, workplace incident, or fall, to more complex penetrating injuries, the impact of brain trauma is often devastating and lifelong. Occasionally, you may experience a closed-head injury that is serious but does not result in immediate symptoms or distress. For these cases, we work hard to prove that the physical, emotional, and often financial damage you’ve suffered is both serious and worthy of compensation. 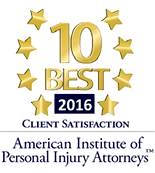 Discover how our 10+ years of experience can help your case by requesting a free consultation today. Often times, statements given to insurance companies may limit your recovery later on. Don’t let an insurance company decide what your injury is worth. Request a free consultation today and our legal team will help you recover fair compensation. Conditions at construction sites are constantly changing and the safety rules, requirements, and measures indented to protect your health and safety are often ignored. If you’re injured on a job site, it’s time to put our experience to work to make sure you recover the compensation you need to pay medical bills and recover lost and future wages. Mr. Schwaner has experience in cases against some of the largest construction companies in Illinois. Click below to get started and request a free consultation. If you or a family member have been injured in an unprovoked dog attack, Illinois law may give you the right to be reimbursed for medical expenses, emotional damage, and more. Our legal team is prepared to deliver the guidance you need to seek fair and just compensation. With over 10+ years of experience and multiple dog bite settlements, attorney David J. Schwaner is ready to handle any type of dog bite case. Don’t wait to pursue the just compensation you may be entitled to by Illinois law. Click below to request a free consultation and a member of our experienced team will evaluate your case at no cost. Doctors can, and do, make mistakes. If you are the victim of a poorly practiced medical procedure, misdiagnosis, or overlooked illness, you need to request a free consultation and retain legal counsel as soon as possible. During the course of your medical malpractice case, hospitals and insurance agency lawyers will be prepared to defend the doctor who caused you or your family member physical pain, emotional damage, and more. At Schwaner Injury Law, we are prepared to fight back and seek the compensation that you deserve. According to Illinois law, if you’re injured by a consumer product while using it as intended, your injury may not be your fault. Mr. Schwaner has personally handled multiple products liability claims throughout his career. Simply click the link below to set up your free consultation to learn more about your potential matter. If you or a loved one has been injured due to a defect on someone else’s property you may be entitled to recovery for any injuries you sustsatined. Mr. Schwaner has handled many of these types of cases over the years. Simply click the link below for a free case evaluation. If you’ve suffered a spinal cord injury that’s severely impacted your life, you may be entitled to compensation. Put experience on your side. Attorney David Schwaner has handled multiple spinal cord injury cases and has successfully recovered money on behalf of his clients. Learn what Mr. Schwaner can do for you. Simply call for a free case evaluation. Carelessness and negligence cause death every day and while no amount of money can help you recover from the emotional loss of a loved one, often times family members are left with a difficult financial situation to deal with. Put our experience to work and request a free consultation today.